After being featured on the Inventables Marketplace, PowerbyProxi is collaborating with two companies that found them through the site. One in the plumbing industry and the other an aerospace manufacturer! PowerbyProxi, a spin off of University of Auckland in New Zealand, is the creator of the Proxi-Ring, a slip ring which supplies power to rotating, highly mobile industrial equipment. The Proxi-ring eliminates the need for a physical power connection. 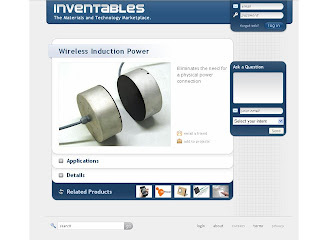 "Inventables innovation push methodology is simply, clear and effective, and the new online marketplace a great tool for innovative companies wanting to showcase their technologies to the world. They spent the time getting to know our technology and then pointed us in the right direction, we are now exploring a number of exciting opportunities as a result."